Here’s some creative ingenuity from designer Eddie Gandelman. 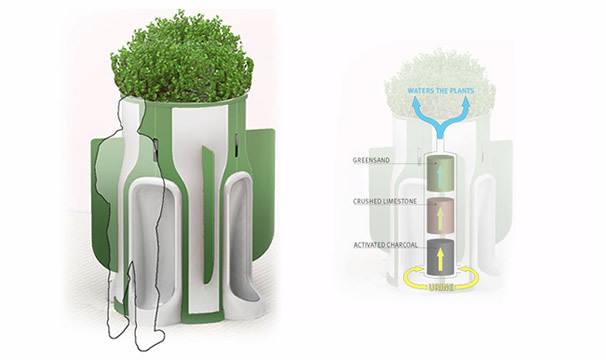 A public urinal that filters pee and feeds plants on site. Why oh why aren’t these on every street corner. Read more about the “When Nature Calls urinal” over at the Tuvie website. Heavy-duty, 2 filter purification systems, handle the toughest conditions, as well as offer you the satisfaction while you’re hard at thhe office. inspired the creation of some of the brand’s luxury models.